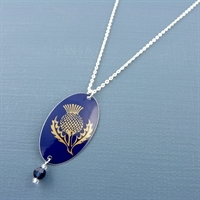 Our Thistle jewellery is a lovely unique way to add a touch of Scotland to your look! 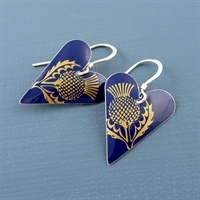 We use the beautiful thistle tins from the Shortbread House of Edinburgh for these pieces! 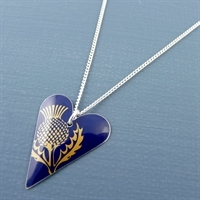 Slim heart necklace handmade in a Scottish thistle print. Medium heart earrings on short earwires, handmade in thistle print. 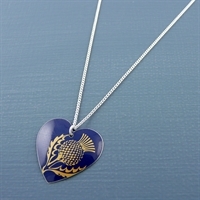 A round heart necklace handmade in a unique thistle print. 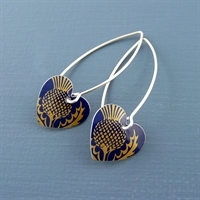 Round heart earrings in thistle print. 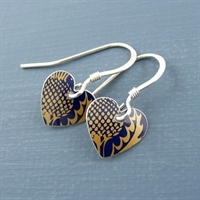 Heart earrings on medium earwires in our Thistle print. Vintage style oval necklace handmade from thistle print tin. 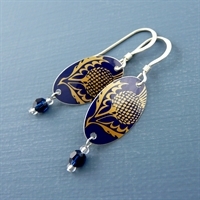 Vintage style oval earrings handmade from our collection of thistle tins. 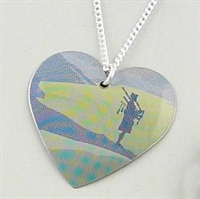 A round heart necklace handmade in a Scottish piper print.